I like to use Mother’s Day Bouquet (Flower5) and Flower Shoppe (Stack 2). 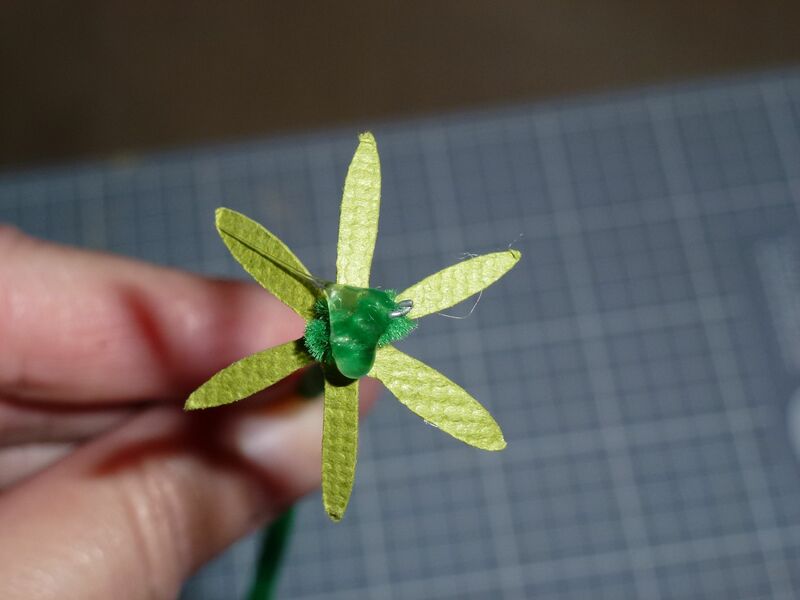 You can make these in any size – I recommend using a Flower5 cut at least 2 inches in height when you first start learning. 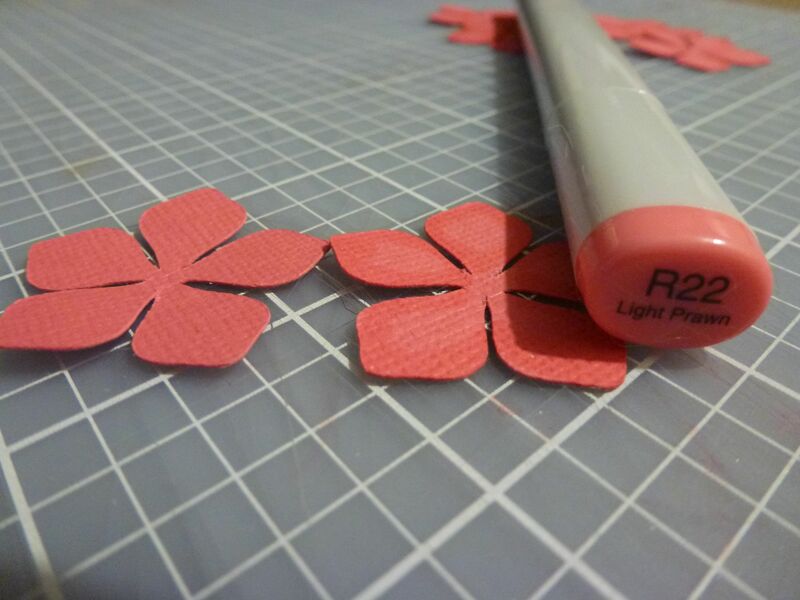 For this tutorial, I used Flower5 cut at 1.2 inches, and Stack 2 cut at 1.2 inches. You will need either a quilling tool or bamboo skewer, a hot glue gun, and a pair of scissors. To add a little dimension, I recommend using either Copic, distress ink, or other color medium to add depth to the edge of the flowers. 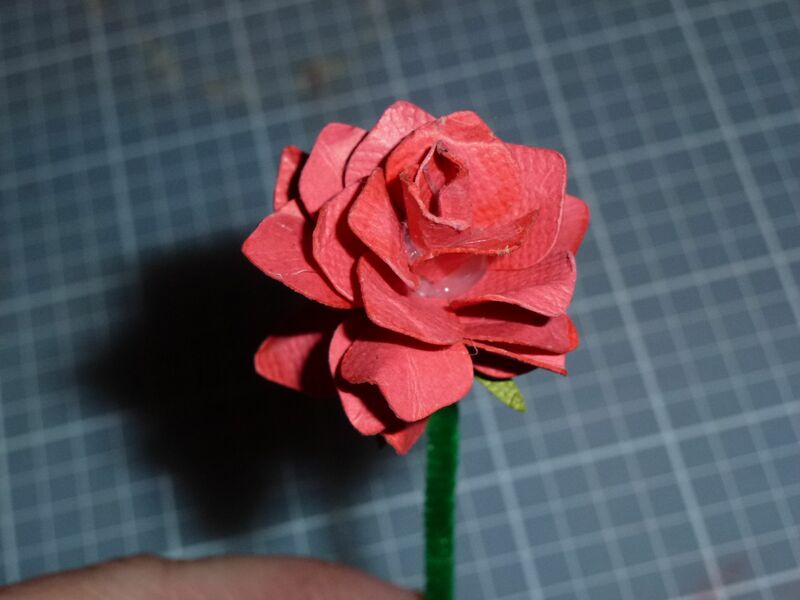 I like using the hot glue gun as it drys so much faster and holds the petals in place for the next layer without a long wait time. Most of the time I use Bazzill card stock or other similar weight paper. Step 1 – Cut five Flower5 from Mother’s Day Bouquet. This cut is phenomenal because you will not need to cut into the flower in order to get your dimension. Step 2 – Add some depth by applying color to the edge of the flower. The flower on the left is not inked; I used a Copic sketch for the flower on the right. Just go along the edge of each petal. And if you don’t want it – don’t add it. My blue wedding shower flowers were not inked. 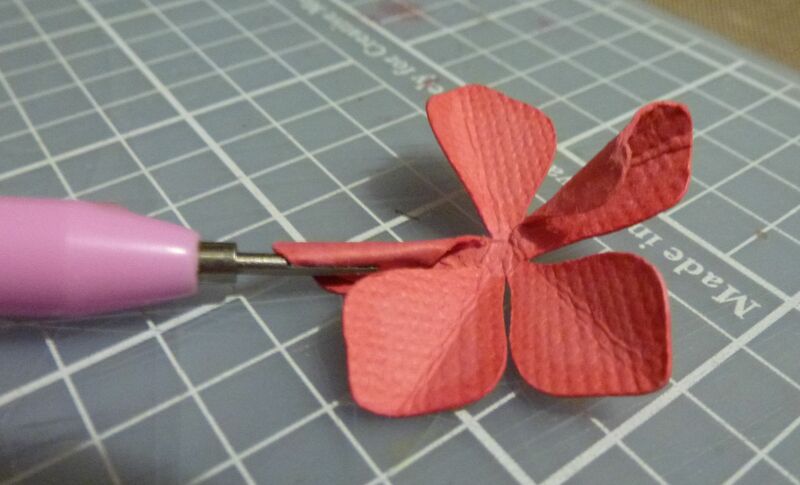 Step 3 – Bend all of the flower petals on a scissor blade (carefully) or simply pinch to crease each of the petals. Using the scisso r makes for a nice crease which really holds. 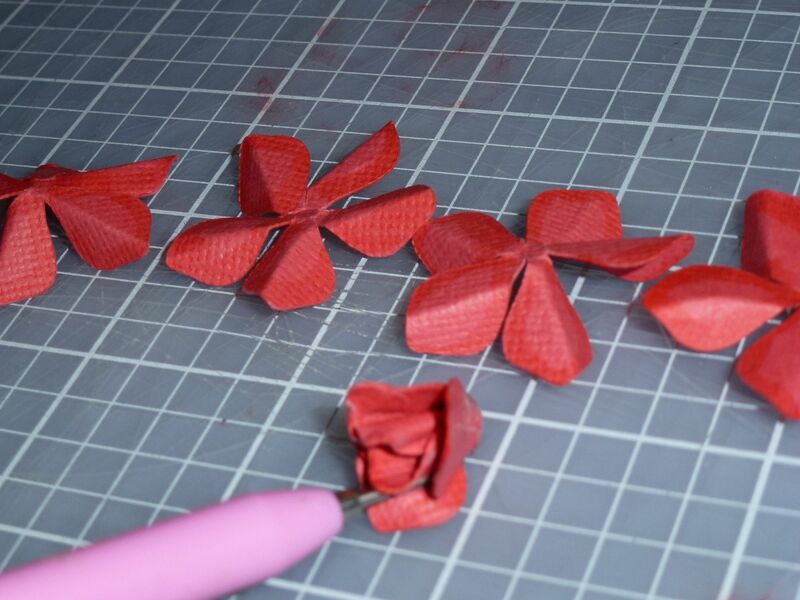 Step 4 – With all of your petals creased, lets get started with assembly. 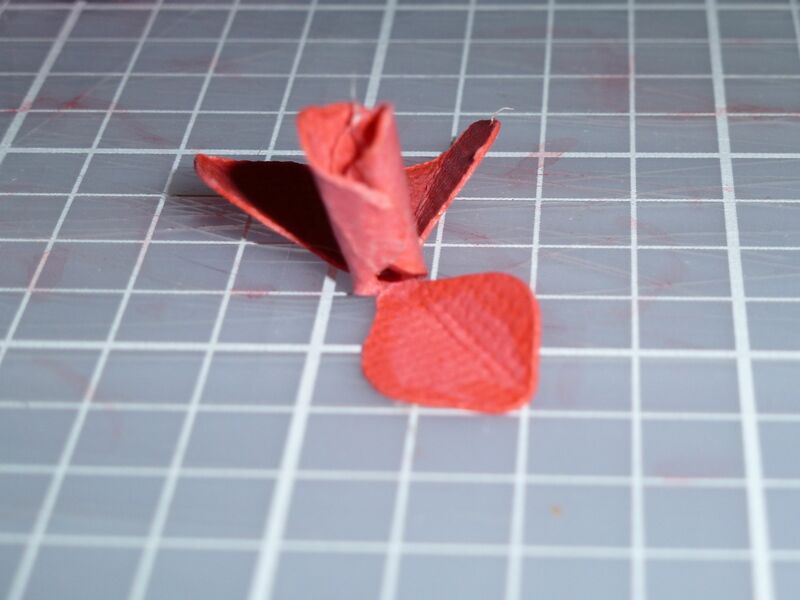 Pick up your first Flower5 cut, and tightly curl two petals. Use a quilling tool, a skewer, or even your fingers if the cut is large enough. 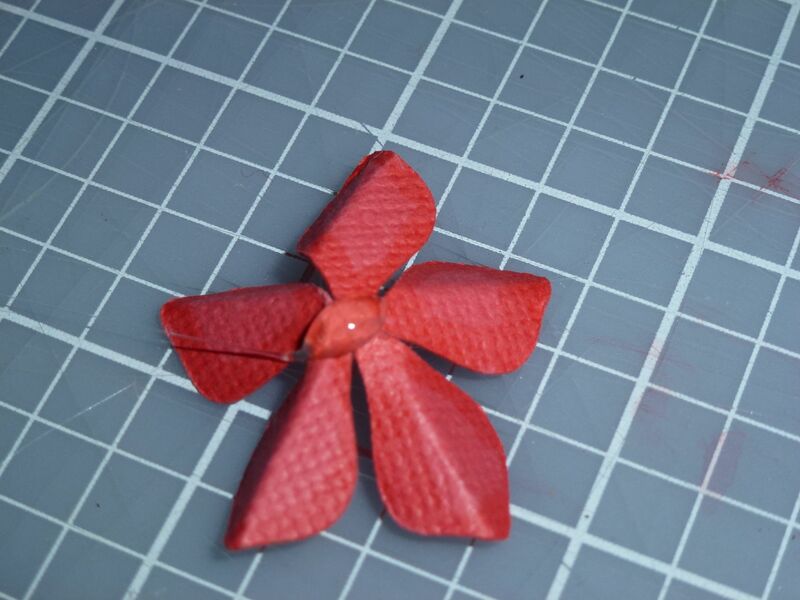 Step 5 – Glue the base of one of the two curled petals and join the two petals together. Align the two curled petals so they overlap (like they are hugging). This is the key step. 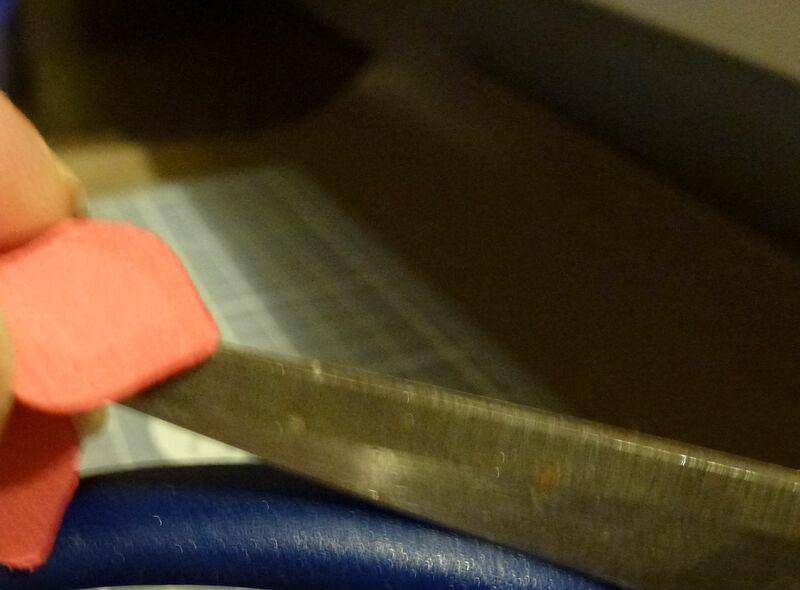 Step 7 – Hot glue the center of your next cut and attached to the first layer (with the curled overlapping petals). 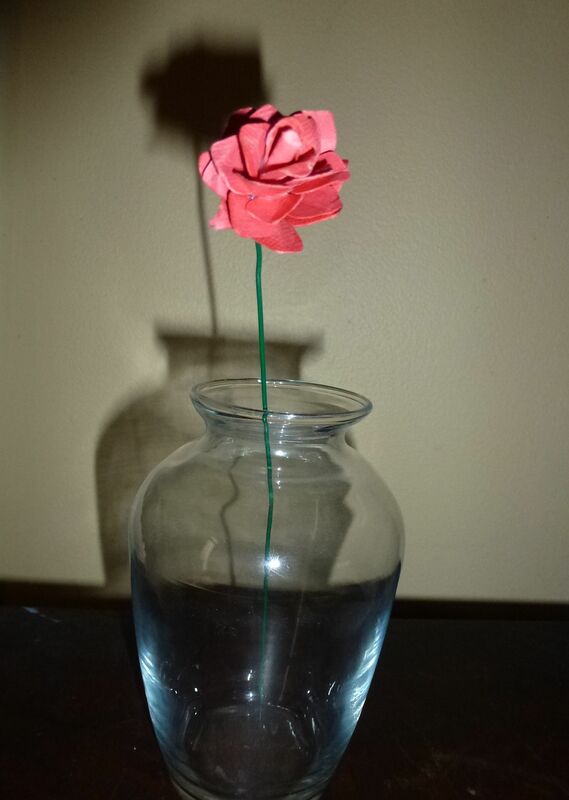 See how the petals are curving downward, you will want to cup the petals upwards before attaching. Take the cut in the palm of your hand and cup. Attach to the first layer – rotate the second layer so the petals are not directly underneath the petals of the first layer. Step 8 – Add the rest of the cuts in the same manner – always try to fill in the “gaps” between layers by not stacking layers directly below the previous layers. This is a goal – not a firm rule, so don’t drive yourself crazy trying to align the petals perfectly. Your glue will dry if you work it too long. As you go along, decrease the size of the “cup” – the final layer is barely cupped. 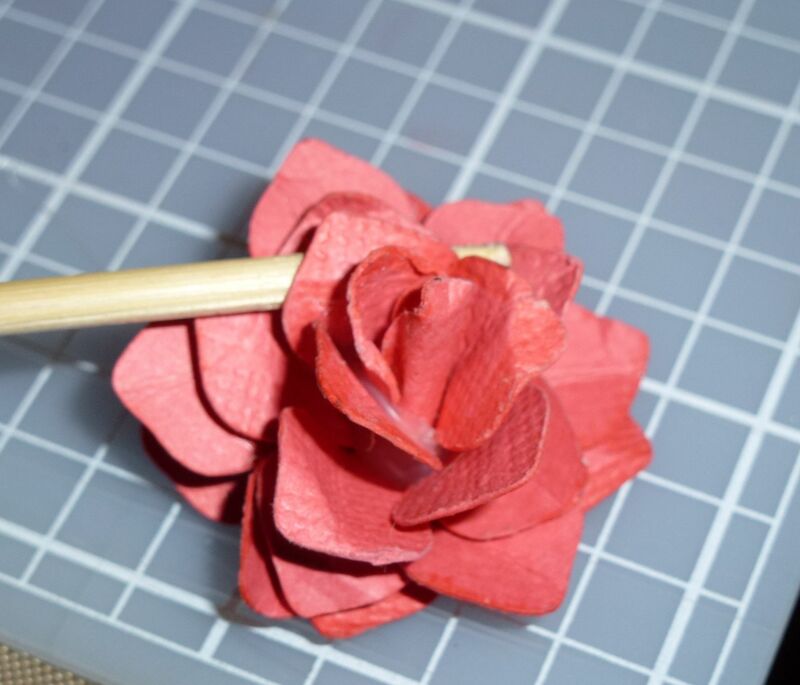 Step 9 – Once all of the layers are attached, use your quilling tool or skewer to roll some of the petals down. This is much easier with a larger cut than a small one. Adjust the petals until you are satisfied. Step 10 – If you want to add a stem, use either a pipe cleaner or a floral wire (whichever is better for the scale of your rose). Use the Flower Shoppe Stack2 (cut at 1.2 inches) to make a calyx. Slide the pipe cleaner or wire through the hole in the cut. 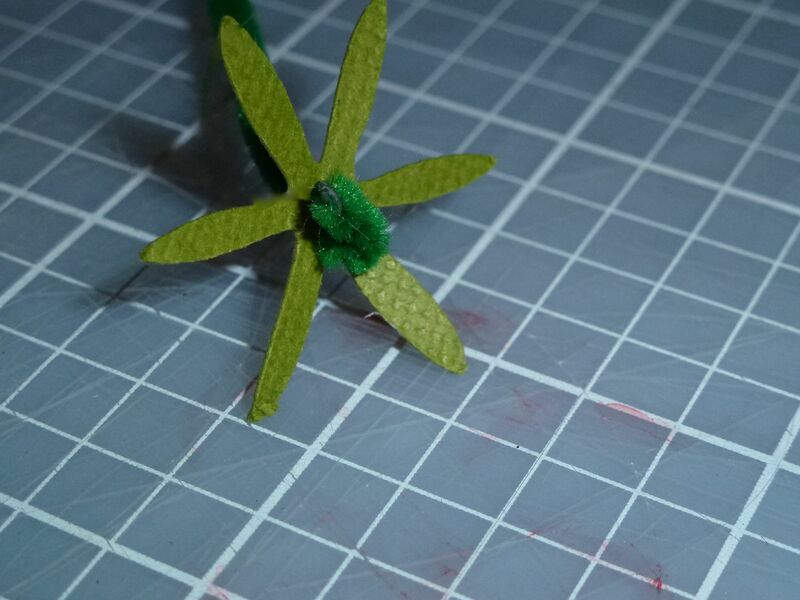 Bend the edges down of the calyx, and twirl or bend the pipe cleaner or wire to make a base to attach your flower. 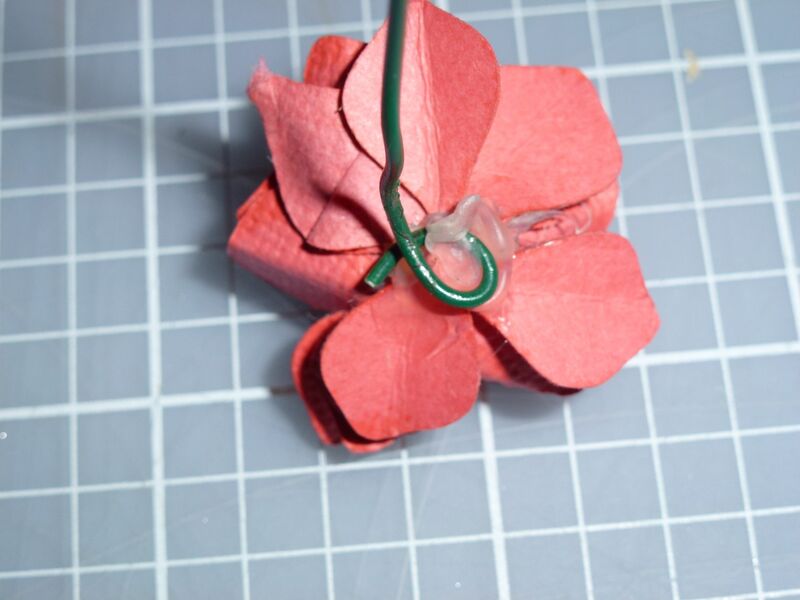 Step 11 – Apply glue to the base and attach to your flower. If you use floral wire, simply roll it up using your jeweler’s pliers or around a skewer. You can make your rose with or without a calyx. Step 12 – Here is the completed rose. Whether making a bouquet or using flowers to decorate a card or in a shadowbox, make sure to make different sizes. I will be back soon with some thoughts on making a rose bush. Gorgeous rose! I might even try one :D.
Agreed -this is gorgeous! What a fabulous tutorial — I cannot wait to try this! Thank you! Now I understand those wonderful blue roses!!! Thanks for the tutorial! It always seems so easy until you cut them out and the pieces are flat and lifeless…and then I’m stumped. 😉 Have to give this a shot in my bouquet! Wow, that’s beautiful! I’ve got this bookmarked, I think it’s the best I’ve seen yet.